Mazatlan Mexican Restaurant has focused on fresh, authentic Mexican dishes since they opened their first restaurant outside of Portland back in 1985. 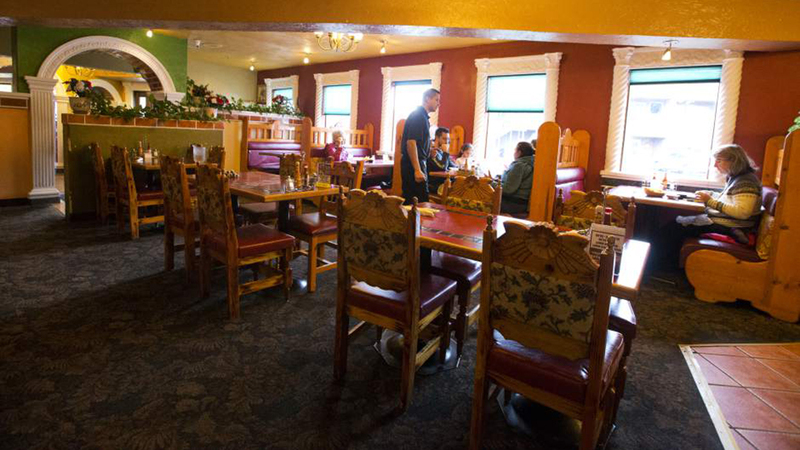 This formula has served them well because today there are 17 family-owned Mazatlan restaurants across the state, including one on South Highway 97 in Bend. At Mazatlan, fresh means guacamole and salsa made from scratch daily with the finest ingredients available. Authentic means using crema (never sour cream) and Mexican queso throughout the lunch and dinner menus; menus that reflect the coastal influences of Mazatlan, Mexico with a number of seafood dishes. Seafood chimichangas, chabela (authentic shellfish soup), camarones a la diabla (spicy shrimp), and fresh ceviche will all transport you to the warm city by the sea. Other traditional favorites include queso fundido, pork chile verde, chicken mole, and sizzling fajitas, all served with Mazatlan’s signature welcoming service that will have you feeling right at home. You can even bring the delicious tastes of Mazatlan Mexican Restaurant to your home when you leave the work to them and let their catering service take care of your next special event. Whatever dish you’re in the mood for, you’ll find it at Mazatlan Mexican Restaurant, open Monday – Friday from 11:00 a.m. – 10:00 p.m. and Saturday and Sunday from 7:00 a.m. – 10:00 p.m.